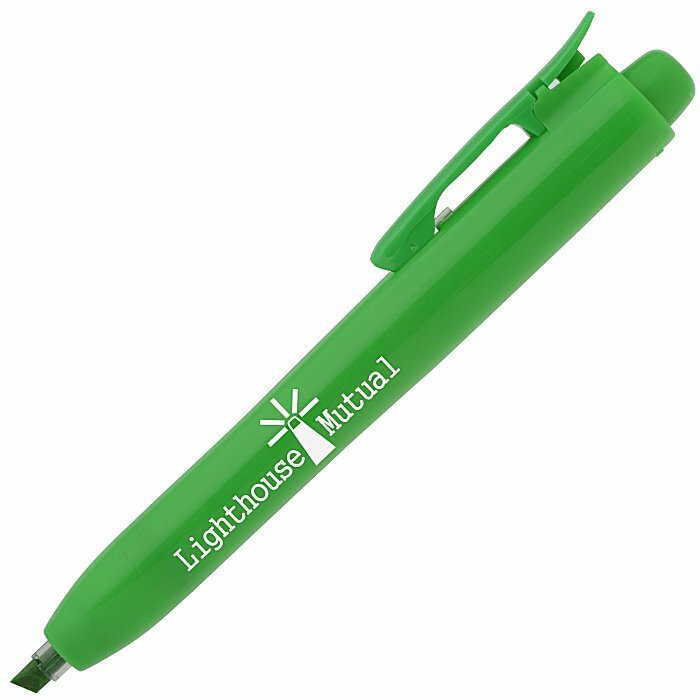 Personalized highlighters that are retractable! Retrax® highlighters are perfect for taking notes, marking important texts and more. 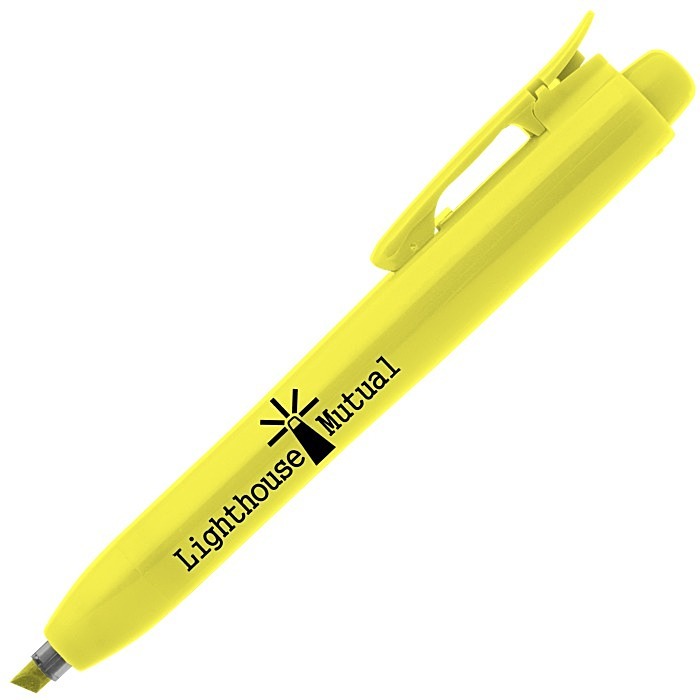 Designed just like a click-action pen, this highlighter features a retractable tip. Available in a variety of bright, fluorescent inks to choose from. Barrel, clip and plunger coordinate with the ink color.